The land between the Dandenongs and Yarra Ranges has unique environmental values. Remnant vegetation in and around the Conservation Area mostly comprises dry and lowland forest, wet or damp forest types at higher elevations, and riparian or swampy scrub and woodlands along drainage lines. Riparian Forest represents the single largest ecological vegetation class (EVC) along major waterways such as the Yarra River. On the valley floor and floodplains, heathland, riparian scrub or healthy woodlands dominate but all vegetation types are significantly depleted due to large scale clearing since European settlement. Vegetation depletion has also occurred through ongoing incremental loss through grazing regimes by both domestic stock, deer and pest animals. Bioregions: are a landscape-scale approach to classifying the environment using a range of attributes such as climate, geomorphology, geology, soils and vegetation. There are 28 bioregions identified within Victoria. The Yellingbo Conservation Area is situated in the Highlands – Southern Fall bioregion. Ecological Vegetation Classes (EVC) are the standard unit for classifying vegetation types in Victoria. EVCs are described through a combination of floristics, lifeforms and ecological characteristics, and through an inferred fidelity to particular environmental attributes. Each EVC includes a collection of floristic communities (i.e. lower level in the classification) that occur across a biogeographic range, and although differing in species, have similar habitat and ecological processes operating. EVCs within the Yellingbo Conservation Area include: Clay Heathland/Wet Heathland/Riparian Scrub Mosaic; Cool Temperate Rainforest; Damp Forest; Damp Heathy Woodland; Floodplain Riparian Woodland; Grassy Dry Forest; Grassy Forest; Herb-rich Foothill Forest; Lowland Forest; Riparian Forest; Riparian Scrub/Swampy Riparian Woodland Complex; Riparian Thicket; Shrubby Foothill Forest; Swampy Riparian Complex; Swampy Riparian Woodland; Valley Grassy Forest; Valley Heathy Forest; and Wet Forest. Cool Temperate Rainforest vegetation community is typically dominated by combinations of Mountain Ash (Eucalyptus regnans), Myrtle Beech (Nothofagus cunninghamii), Southern Sassafras (Atherosperma moschatum), Black Olive-berry (Elaeocarpus holopetalus) and Blackwood (Acacia melanoxylon). The understorey contains Musk Daisy-bush (Olearia argophylla), Austral Mulberry (Hedycarya angustifolia) and Tree Ferns, with a ground layer dominated by ferns. Pockets of Cool Temperate Rainforest persist in the Sassafras Creek headwaters and in the existing Sassafras Creek Nature Conservation Reserve (VEAC, 2012, p.20; Lorimer, 2009, 2012). Floodplain Riparian Woodland is a low elevation open woodland dominated by river red gum (Eucalyptus camaldulensis) with a medium to tall shrub layer and ground layer consisting mainly of grasses, herbs and sedges. It occurs along floodplains of large meandering rivers, often in conjunction with one or more wetland communities. This EVC is of restricted extent and principally located along riparian strips fronting Woori Yallock Creek and the Yarra River (VEAC, 2012, pp. 20-21). Swampy Riparian Complex is a structurally variable vegetation complex of swampy to waterlogged areas along low gradient drainage lines. Component EVCs can include Creekline Herb-rich Woodland, and Swampy Riparian Woodland. Approximately 70% of endangered Swampy Riparian Complex EVC on public land is within the Yellingbo Nature Conservation Reserve (VEAC, 2012, p. 21) with small stands also in the Coranderrk Nature Conservation Reserve, and Little Yarra River (between Coles Road and Blacksands Road). Sedge-rich Eucalyptus camphora Swamp Community. This threatened vegetation community comprises an overstorey of Mountain Swamp Gum (Eucalyptus camphora) with structural variation from open forest to woodland. 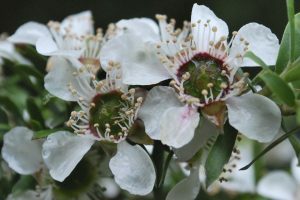 The understorey consists of sparse Woolly Tea-tree (Leptospermum lanigerum) and localised stands of Swamp Paperbark (Melaleuca ericifolia) except along permanent stream beds where it can form a closed shrub layer. Scented Paperbark (Melaleuca squarrosa) can also occur with Woolly Tea-tree in ephemeral waterways. The ground layer consists of a range of sedges, rushes, grasses and forbs. This vegetation community provides critical habitat for the two iconic nationally critically endangered animals, the Helmeted Honeyeater and the lowland Leadbeater’s Possum (VEAC, 2012, p. 21). The Yellingbo NCR also supports rare floral species such as Wiry Bossiaea (Bossiaea cordigera). Large areas of swamp habitat have been in decline, with dieback spreading upstream along Cockatoo Creek. Recent works by Melbourne Water have been completed to help reduce dieback through removal of a levee bank to restore more natural hydrological regime in the area (see Melbourne Water’s Cockatoo Swamp rehabilitation project Yellingbo). 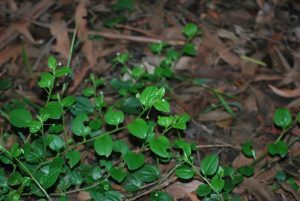 The endangered status is listed in the Advisory List of Rare or Threatened Plants in Victoria. Check out some links to plants, fungi, and landscapes you may see in the YCA. Spotted flora in YCA? VBA Go is the new mobile tool that links directly to the Victorian Biodiversity Atlas. We need your wildlife sightings. Can you help make a difference? Find out more about VBA Go on our Biodiversity & Conservation page. Environment Protection and Biodiversity Conservation Act 1999 (EPBC Act) (Cth) (Austl). Retrieved from http://www.environment.gov.au/epbc/about. 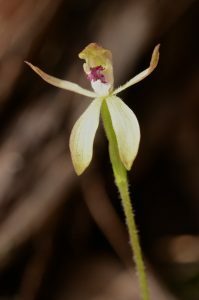 Australian Government - Listed threatened species and ecological communities [webpage]. Retrieved from http://www.environment.gov.au/epbc/what-is-protected/threatened-species-ecological-communities. Australian National Botanic Gardens and Centre for Australian National Biodiversity Research. (2015). Floral Emblem of Victoria. [webpage]. https://www.anbg.gov.au/emblems/vic.emblem.html. Carter, O. (2010). 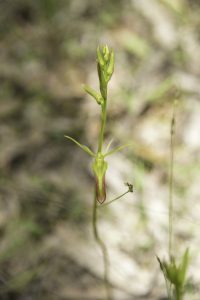 National Recovery Plan for the Matted Flax-lily (Dianella amoena). Heidelberg, Victoria: Arthur Rylah Institute for Environmental Research, Department of Sustainability and Environment, State Government of Victoria. Retrieved from http://www.environment.gov.au/system/files/resources/8e7859d4-b4bb-47ac-b15b-c3fd18c3ff93/files/dianella-amoena.pdf. Department of Environment and Primary Industries (DEPI). (2014). 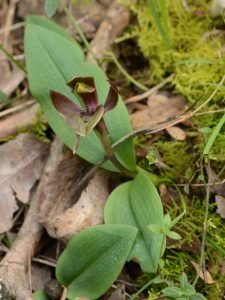 Advisory List of Rare or Threatened Plants in Victoria. Melbourne: State Government of Victoria. 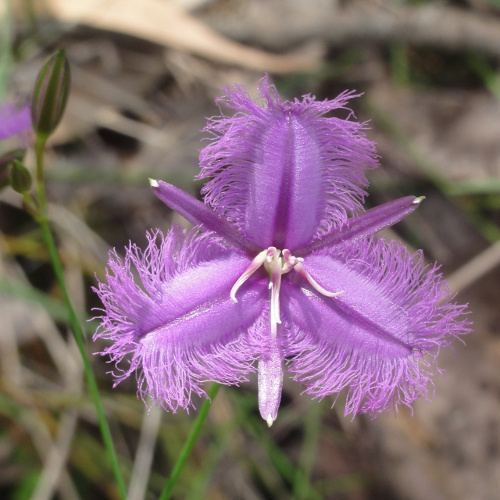 Retrieved from https://www.environment.vic.gov.au/__data/assets/pdf_file/0021/50448/Advisory-List-of-Rare-or-Threatened-Plants-in-Victoria-2014.pdf. Department of Environment, Land, Water & Planning (DELWP). (2015). Flora and Fauna Guarantee Act 1988 Action Statement No. 261: White Star-bush Asterolasia asteriscophora subsp. albiflora [Emerald Star Bush]. Melbourne: State Government of Victoria. Retrieved from https://www.environment.vic.gov.au/__data/assets/pdf_file/0017/33056/White-Star-bush_action-statement.pdf. Department of Environment, Land, Water & Planning (DELWP). (2017). [Emerald Star Bush] White Star-bush Asterolasia asteriscophora subsp. albiflora. Action statement No.261. Flora and Fauna Guarantee Act 1988. Melbourne: State Government of VIctoria. Retrieved from https://www.environment.vic.gov.au/__data/assets/word_doc/0018/33057/White-Star-bush_action-statement.docx. Department of Environment, Land, Water & Planning (DELWP). (2018, April). Flora and Fauna Guarantee Act 1988 Threatened List: Characteristics of Threatened Communities. 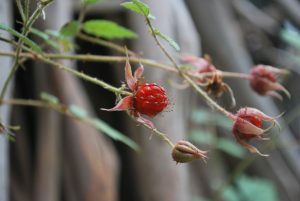 Melbourne: State Government of Victoria Retrieved from https://www.environment.vic.gov.au/__data/assets/pdf_file/0018/50418/Flora-and-Fauna-Guarantee-Characteristics-of-Threatened-Communities-.pdf. Department of Environment, Land, Water & Planning (DELWP). (2018, April). Flora and Fauna Guarantee Act 1988 Threatened List: Taxa and Communities of Flora and Fauna which are Threatened. Melbourne: State Government of Victoria Retrieved from https://www.environment.vic.gov.au/__data/assets/pdf_file/0024/115827/FFG-Threatened-List.doc.pdf. Department of Environment, Land, Water & Planning (DELWP). (2017). Review of the Flora and Fauna Guarantee Act 1988 - Consultation Paper. Melbourne: State Government of Victoria. Retrieved from https://engage.vic.gov.au/application/files/9314/8583/3454/DELWP0052_FFG_Act_Review_Consultation_Paper_v9accessible.pdf. Department of Sustainability and Environment (DSE). (2008). Flora and Fauna Guarantee Act 1988 Action Statement No. 001: Buxton Gum (Eucalyptus crenulata). Melbourne: State Government of Victoria. Retrieved from https://www.environment.vic.gov.au/__data/assets/pdf_file/0022/32584/Buxton_Gum_Eucalyptus_crenulata.pdf. Department of Sustainability and Environment. (2003). Flora and Fauna Guarantee Act 1988 Action Statement No. 130: Sedge-rich Eucalyptus camphora Swamp. 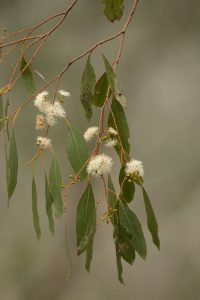 Melbourne: State Government of Victoria Retrieved from https://www.environment.vic.gov.au/__data/assets/pdf_file/0021/32466/Sedge-rich_Eucalyptus_camphora_swamp.pdf. Department of Sustainability and Environment (DSE). (2004). EVC/Bioregion Benchmark for Vegetation Quality Assessment Highlands – Southern Fall bioregion. Melbourne: State Government of Victoria Retrieved from https://www.environment.vic.gov.au/__data/assets/pdf_file/0026/48707/HSF_EVCs_combined.pdf. Duggan, D., & Wositzky, H. (2017). The Protection of Slender and Skirted Tree Ferns in Sassafras Creek Nature Conservation Reserve. Sassafras: Friends of Sassafras Creek. Friends of Hoddles Creek Inc. (2012). The Effectiveness of Threatened Species and Ecological Communities' Protection in the Kurth Kiln Regional Park, Victoria, Australia: Submission to Senate Enquiry. Retrieved from http://www.aph.gov.au/DocumentStore.ashx?id=39a04a26-578d-4350-8036-81ac4715a657. Friends of Hoddles Creek Inc. (2013). Submission in Response to the VEAV Investigation Draft Proposals Paper Yellingbo Investigation. Melbourne: VEAC. Retrieved from http://www.veac.vic.gov.au/submissions/published/8374-YB_Sub_DPP_0077_Friends_of_Hoddles_Creek.pdf. Friends of Sherbrooke Forest. (2000). Sherbrooke Forest: Its Flora and History. Belgrave: Friends of Sherbrooke Forest, Inc.
Garnett, S., Latch, P., Lindenmayer, D., & Woinarski, J. (Eds.). (2018). Recovering Australian Threatened Species: A Book of Hope. Clayton, Australia: CSIRO Publishing. Gross, N., Hampson, S., & Thompson, J. (2018). Ferns of Emerald Victoria. Emerald: Johns Hill Landcare Group. Levens, L. (1997). 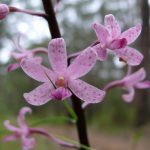 Wildflowers in the Dandenong Ranges: A Beginners Guide. Upper Beaconsfield, Vic: Upper Beaconsfield Conservation Group. Lorimer, G. S. (2009). Vegetation Assessment and Mapping of Hoddles Creek Education Area: A report prepared for Parks Victoria Gembrook office. Bayswater North: Biosphere Pty Ltd. Retrieved from https://www.friendsofhoddlescreek.com/uploads/5/4/7/8/54782571/hcea2009.pdf. Lorimer, G. S. (2012). Assessment and Mapping of Hoddles Creek Riparian Vegetation: A report commissioned by Friends of Hoddles Creek Inc. and supported by Melbourne Water. Bayswater North: Biosphere Pty Ltd. Retrieved from https://www.friendsofhoddlescreek.com/uploads/5/4/7/8/54782571/hoddlescreeklorimer2012.pdf. Mason, B. (2014). Yarra4Life - Protecting and Connecting EPBC species in the Yarra Ranges: An Ecological Character Description for the lowland Leadbeater’s Possum and the Helmeted Honeyeater. Heidelberg, Victoria: Port Phillip Regional Services, Department of Environment and Primary Industries, State Government of Victoria. Retrieved from http://yarra4life.com.au/wp-content/uploads/sites/3/2017/08/Y4Life_ECD_Final_Dec_2014-FINAL.pdf. White, M., Murphy, A. H., & Downe, J. (20008). 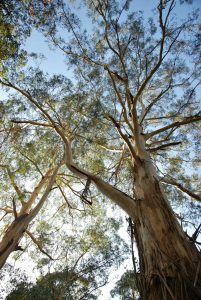 National Recovery Plan for the Buxton Gum (Eucalyptus crenulata). Melbourne: Department of Sustainability and Environment, State Government of Victoria. Retrieved from https://www.environment.gov.au/system/files/resources/b81ca902-6249-490e-9fa5-7aebb40b5448/files/e-crenulata.pdf.